As always, I'm totally building up our "party" into something it's not going to be... but a girl can dream, right? 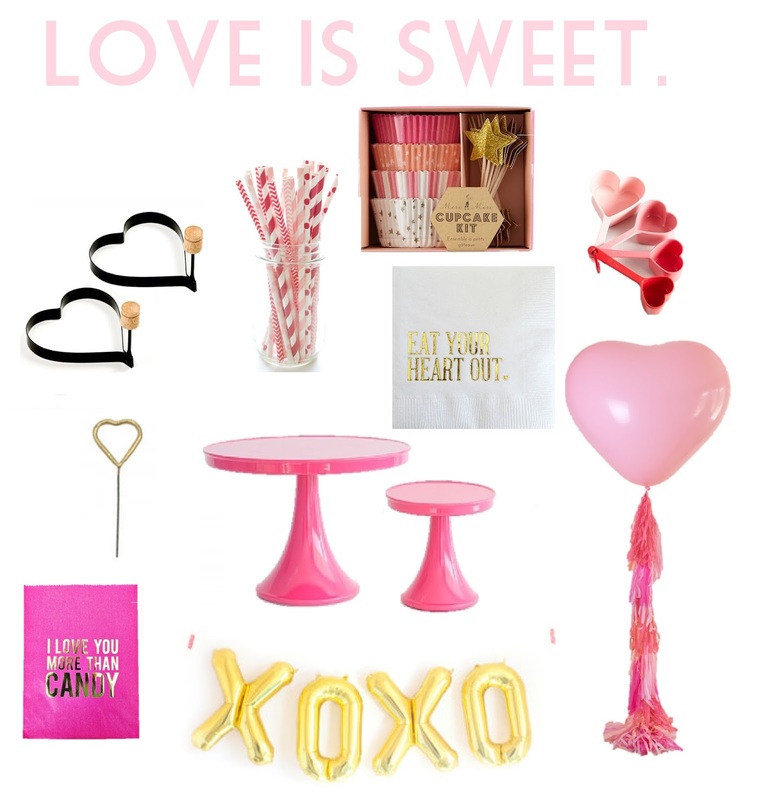 There are SO many cute Valentine's Day party supplies + ideas out there, it was so tough narrowing this list down but here are some of my cutest festive finds! It's Friday today so I have just a couple other favorites to share - if you follow Candy Kirby Designs on Instagram, you probably already saw all the pretty new colors for everything, but I am in love! I'm a sucker for any kind of color gradient so when she posted new colors of the rainbow each day I was obsessed to say the least. My favorites of course are the knotted baby gowns for tiny babes (loving this gender neutral moss color and all the greys), but I also love the bloomers and am thinking about putting a pair in Ellie's Easter basket while I can still get away with stuff like that. ;) Chubby thighs in bloomers, no shirt and a spout of a ponytail on her head, likely with watermelon or some kind of messy food all over her face is how I picture her running around this summer. And I can't. even. wait. 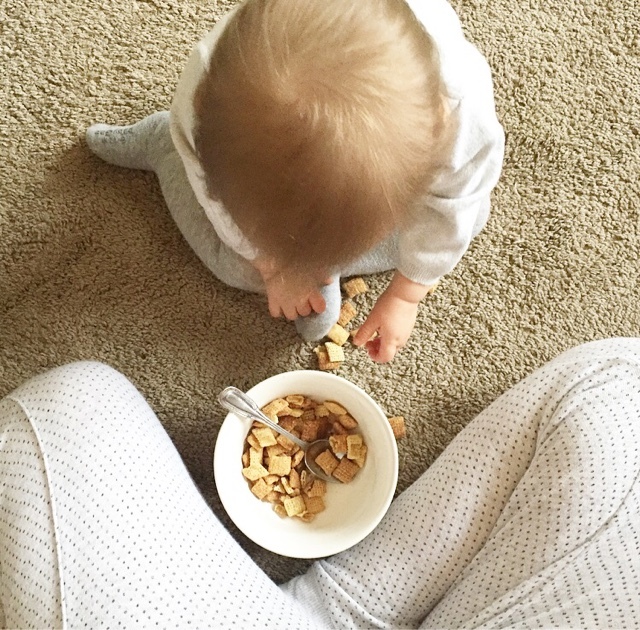 Other favorites this week include these princess bunny jams and this blog post about all the postpartum things - a must-read and totally hits the nail on the head. 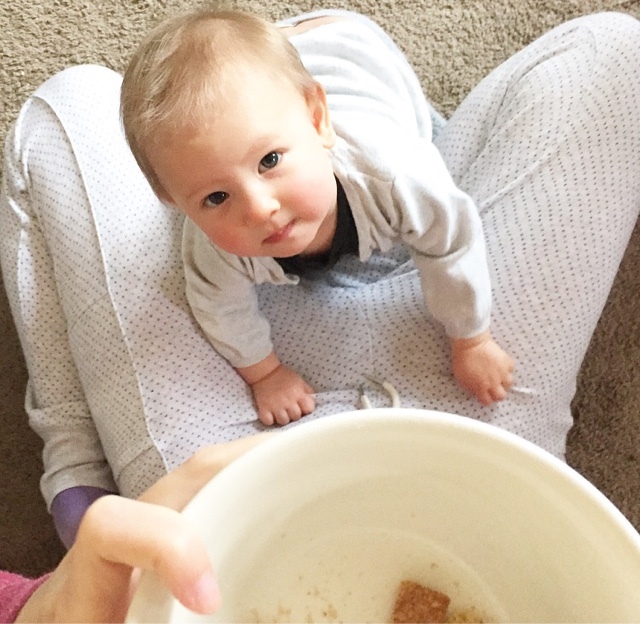 Lastly, the moment Ellie realized my cereal was food - biggest smile ever followed by a "you serious, Clark?" look when I took it away after she tried shoveling it in her mouth.